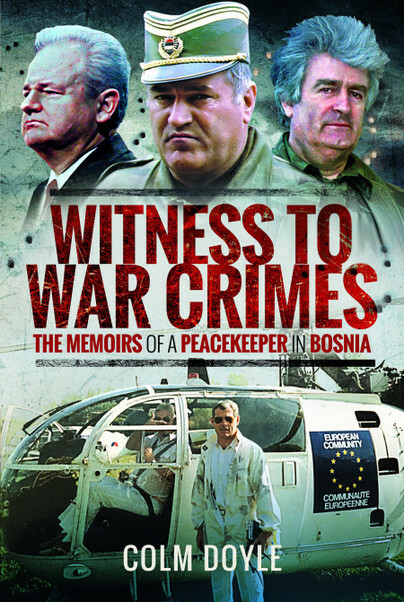 Witness to War Crimes, by Colm Doyle with Conor Graham, will be launched by Kilcullen resident Col Des Travers (Retd), at the Irish Military Seminar scheduled for the weekend of 8-9 June in Newbridge, writes Brian Byrne. Des Travers is himself an investigator of war crimes for the UN Human Rights Council. The book launch is just one of a strong lineup of events at the seminar, which will be held in the Riverbank Arts Centre on the Friday evening and through the Saturday. They include a discussion on the 1941 Glen of Imaal Disaster by Terence O'Reilly, readings from his Lebanon writings by author Martin Malone, and a forum on how the commemoration of the foundation of the Irish Free State in 1922 might be handled. The Saturday schedule includes a talk about the defence of Rorke's Drift in the Zulu wars, a discussion on the role of women in the fight for Irish freedom, and events based on the letters of Irish soldiers on the Union side in the American Civil War and on whether Oliver Cromwell's attempt to conquer Ireland was his greatest failure. After lunch on Saturday the features are a look at the life of pirate queen Grace O'Malley, the life and times of feminist Anne Chambers, and the significance of Irish involvement in WW1. Attendance at the Friday events is free, and there is a €5 administration fee for Saturday participation. The seminar is well worth putting in calendars for anyone interested in the broader Irish military connections.